Whether it’s necessary or not, whether it’s silly or not, whether it’s over-kill, whether it’s part of a vast intergalactic conspiracy … isn’t the issue. The fact is, It Protects YOU! If for whatever reason – justified or otherwise – the Recreational Subdivision Association is sued, the Association will incur the cost of defense. In other words, YOU will get the bill. We’ve all heard of “frivolous lawsuits”. Imagine an example where someone accidentally stumbles into a cactus while touring a garden while texting on his phone. Take the example a step further – that person’s cousin is an unscrupulous attorney and convinces him he can pick up a big settlement by suing the garden owner, the city, the cactus grower and the R.S.A., i.e., YOU. This kind of thing happens far more often than you might imagine. The R.S.A. attorney (YOUR attorney) has asked that attendees sign the waiver. It’s for your protection. Whether it’s a good idea or a silly idea can be debated. However, please give your neighbors the peace of mind of knowing that all attendees have come together in our mutual best interests. Thanks to the fifty-seven people who have signed the waiver. It is appreciated. Frankie is a third generation Arizonan and has been coming to the White Mountains since childhood. She purchased in the Village because of the beautiful trees and because it is located in town. Frankie’s professional background was as an operating room nurse for thirty-five years. The last fifteen years were in management. She was also a real estate broker in the 1980’s, working in a family-owned Century 21 office in Yuma. There she combined nursing and real estate, both part-time. She worked way too many hours. Her interests include embroidery, reading, family history and political campaigns. Frankie managed two campaigns for a candidate for our state legislature, being successful each time. Frankie has been married twice, both husbands predeceasing her. She has two daughters and one son. All are successful and dear to Frankie. She has two granddaughters and two grandsons who fill her with joy every time she thinks of them. 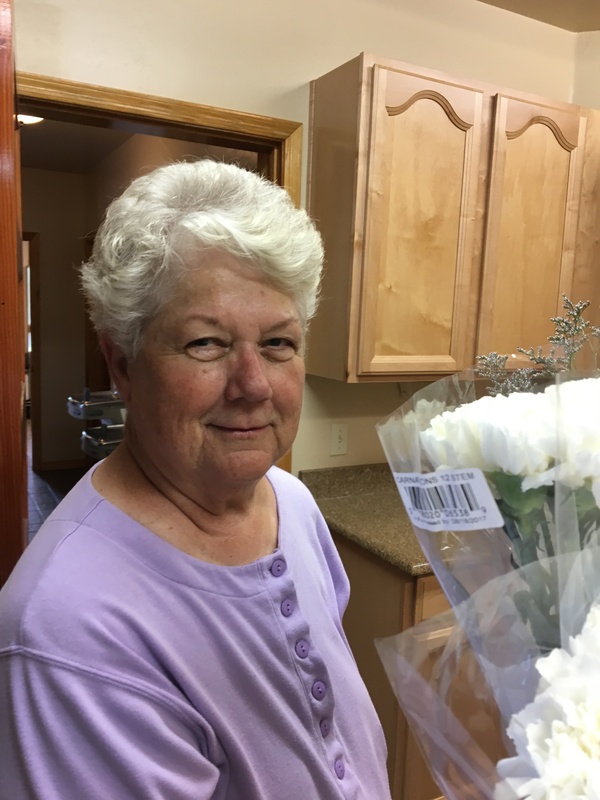 She has eight step-grandchildren with whom she shares birthdays and holidays. Frankie hopes everyone will consider volunteering in the Village for there is no better way to get well acquainted with your neighbors. She is leading by example by volunteering to serve on both the Advisory and Activities Committees. A recent article in the White Mountain Independent addressed a prairie dog die-off in the Concho and Taylor areas as a result of fleas hosting bubonic plague. A Village resident wondered if there should be concern because Taylor is only twenty miles away. I don’t have the answer to that question and we can never be too careful. A bright spot is that most outbreaks occur in the prairie dog population. Prairie dogs usually live at a little lower elevation with not as many pine trees as are in the Village. Plague outbreaks have been reported many times over the years and it would be wise to stay vigilant. The Centers for Disease Control (CDC) website has a downloadable flyer about the various forms of the plague. Who knew there were actually three? According to the article in the Independent and the CDC flyer, humans are most likely to contract plague from their pets. Apparently, agitated fleas have killed their hosts and are looking for a replacement and sometimes light on an unsuspecting dog or cat. From the CDC flyer: Treat dogs and cats for fleas regularly and take sick pets to the veterinarian promptly. You can read both the CDC flyer and the Independent article online. Arm yourself with information and be safe. There have been many questions and rumors about the Bocce Ball court. It is ready for play! There is a complete drainage system installed in the under fill of the unit. It is not a water pit. It is specifically designed to handle the rain and snow and drain away as fast as possible the water that may be left from a heavy rain. The court is finished with professional grade material and its final top coat is crushed oyster shells. It’s what the pros use. Oyster shells are designed to allow drainage and provide a smooth roll of the ball. They are not designed to be layered thickly onto the rolling surface. The court is tamped down firmly and from time to time you may see black under material surface. This is not a cause to pour an additional layer of oyster shells as its increasing thickness will result in a slow and harder to throw rolling of the ball. When you see a black spot and between games, players should use the rake/brush (hanging on the pavilion wall) and drag the court to a level, flat playing surface. The proper etiquette is to NOT WALK on the playing surface during a game. Only those playing should be on the court. We have some additional bags that are still on back order for touch up purposes as time goes by. It is not intended to add a major thickness to the rolling surface. We will store these and use as required. The string rope lights have been removed. They have proven to be a questionable feature. The sticky backing has not stuck. The rake has knocked it down and in one case broke the string. Their return is questionable at this time. Lighting was a bonus feature and not originally in the plan. The surrounding rock area was designed so that golf carts could be driven close by and used for seating of spectators and possibly lighting if needed. There were originally some rocks at the near end toward the club house that was discovered after play was started and they have been dug out and removed and stacked by the trees. If you want to see just how big a rock can be, take a look at these. The existing brand new benches have been moved several times now. They are heavy and are not truly designed to be moved to shade so my suggestion is to stand in the shade of a tree when not rolling and use when they are shade covered. The Activities committee had tried to originate a BB captain and in fact had two lesson meetings. They are now looking to find a person to organize and undertake a BB plan. Anyone interested? The Bocce balls themselves are in the library. The rules are laminated inside the case for anyone to play. I suggest for now, that all interested go down and check this sport out. This is a fun senior sport that is sweeping the valley. Bring a friend or another couple with you to try this out. Early morning or late afternoon or dinner is probably the best time to play. Someone just posted a question asking if the club house is rented or being purchased along with the land under it. This is not meant to poke fun at the questioner, but this actually made me laugh out loud. One can only guess where such rumors start? Perhaps there is not enough excitement and the Activities Committee should be tasked with hosting more events. When the clubhouse was built, the funds came from a mortgage. The Recreational Subdivision Association (RSA) could not qualify for the mortgage so it was secured by the developer. In August of 2005 a lease was created between the developer and the RSA in order to repay the mortgage. The lease is a twenty-year instrument and at the end of the lease, the RSA can exercise its option to purchase the clubhouse for the whopping sum of one dollar. The lease functions just like any other lease agreement in the State of Arizona. The lease gives all rights to use the premises to the RSA. The clubhouse cannot be rented or sold. The ground under the clubhouse isn’t in danger of being sold and neither is the festival area. All of this is the common area that is for the use and enjoyment of all RSA members and their guests. You can click on each image to enlarge. 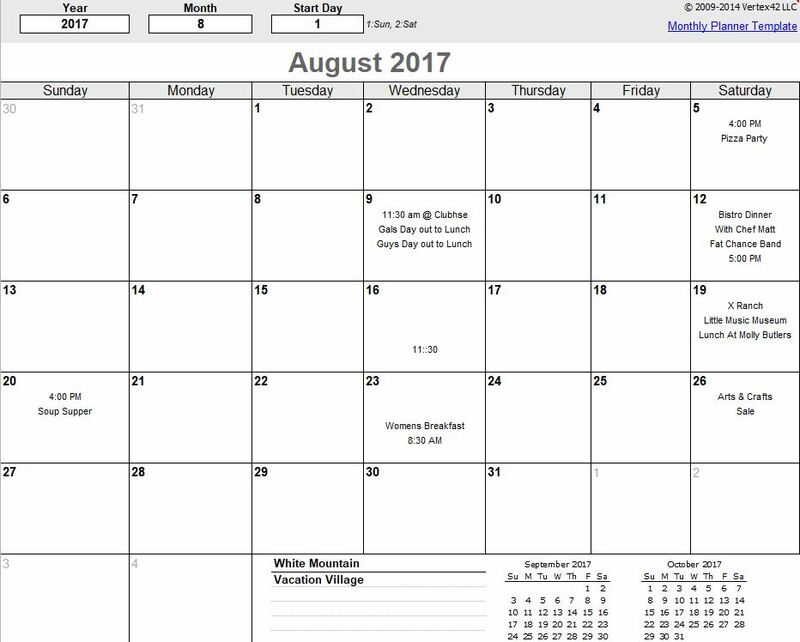 Enjoy your August Activities!